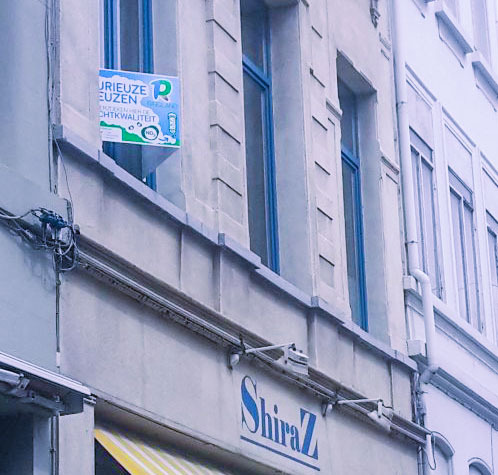 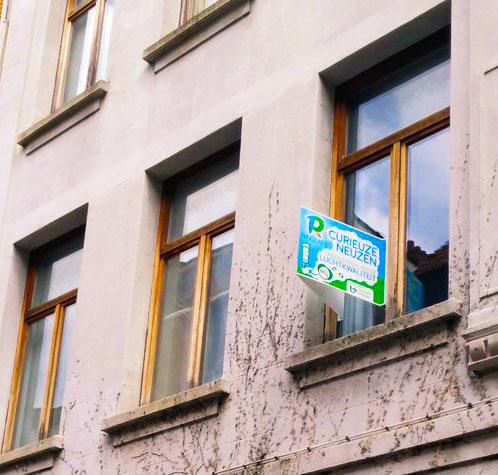 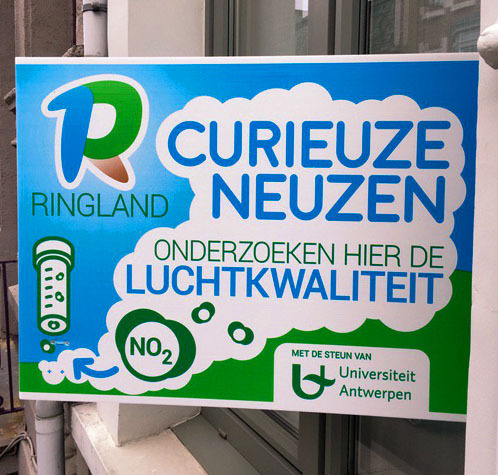 of Antwerp measure the air quality outside their window. 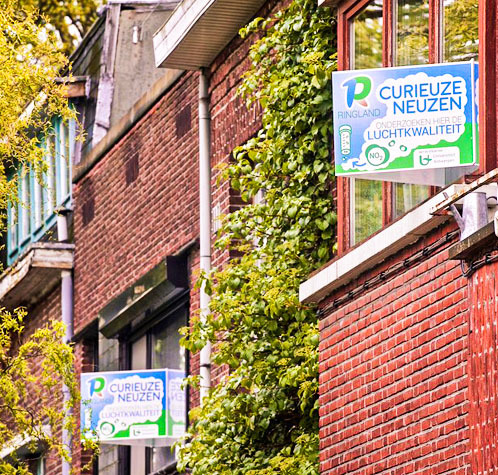 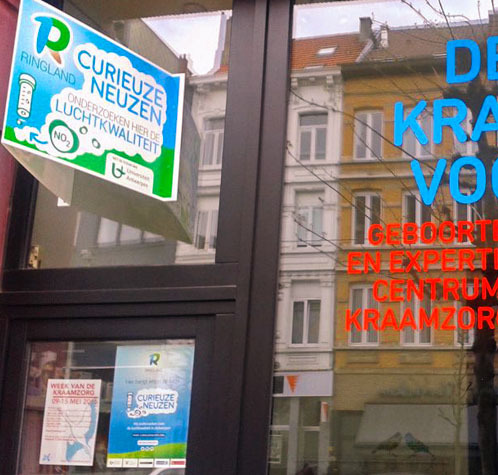 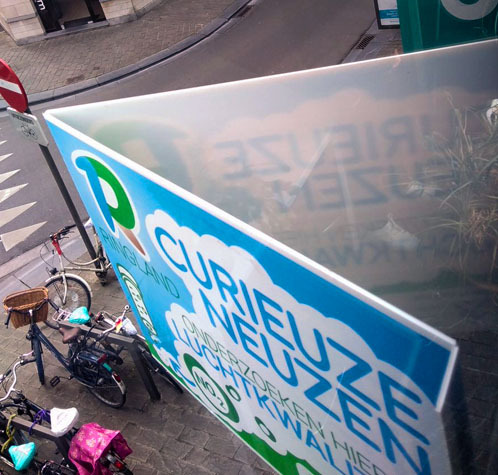 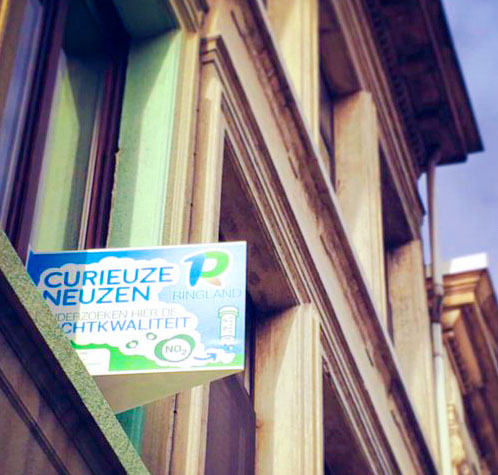 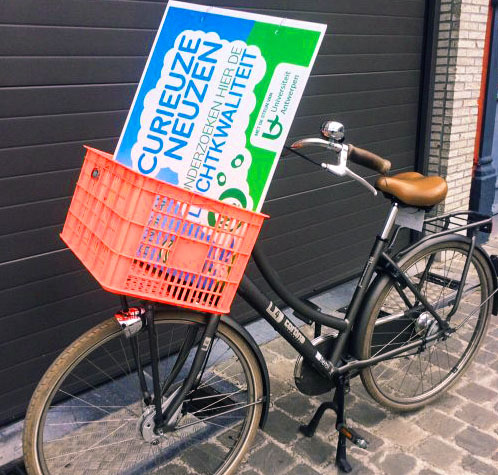 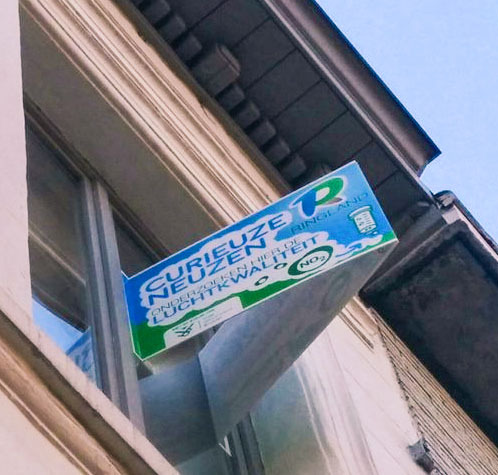 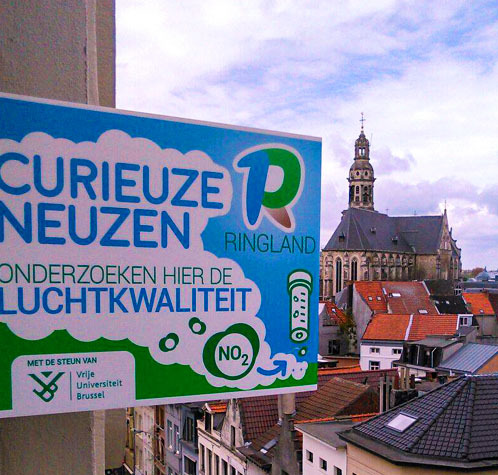 The CurieuzeNeuzen citizen science project aims to accurately map the air quality of Antwerp and its districts. 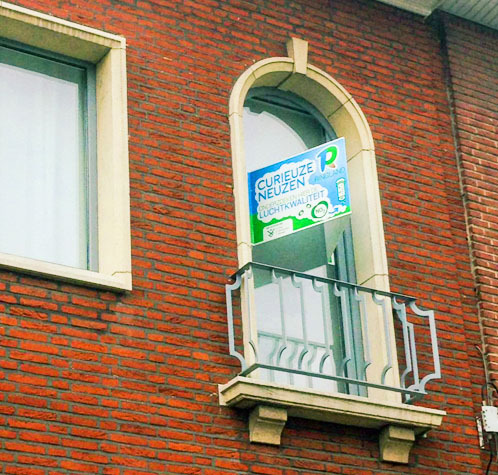 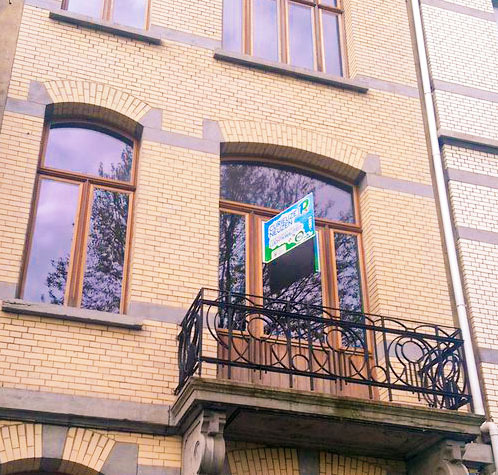 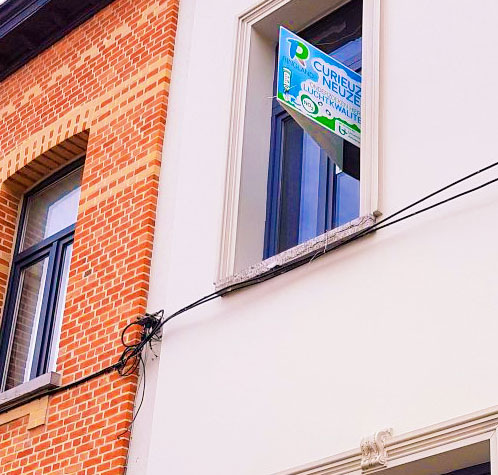 No fewer than 2,000 inhabitants of Antwerp acted as citizen scientists by mounting a measuring setup to their streetside window. 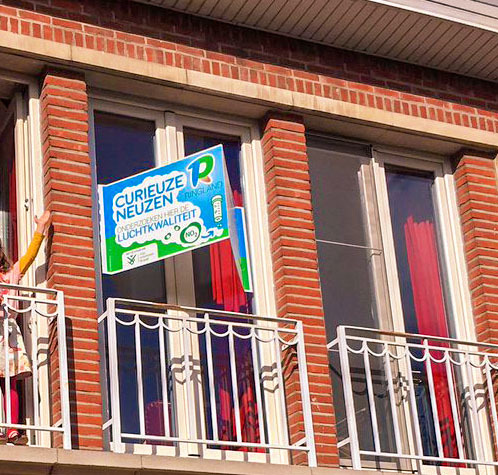 Passive NO2 samplers called Palmes diffusion tubes were used to conduct the experiment. 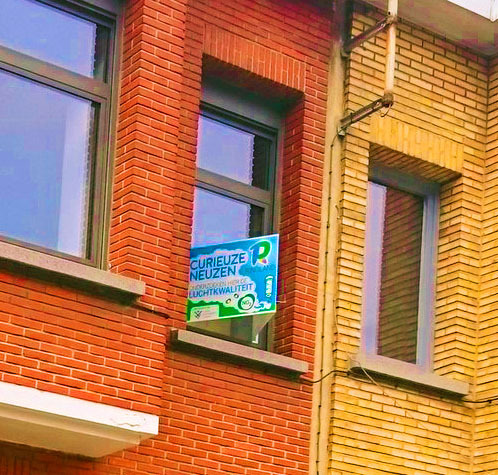 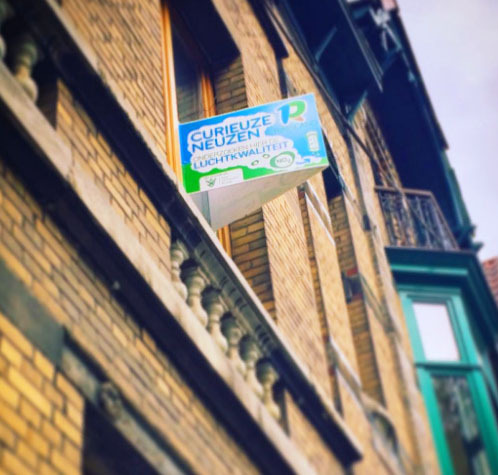 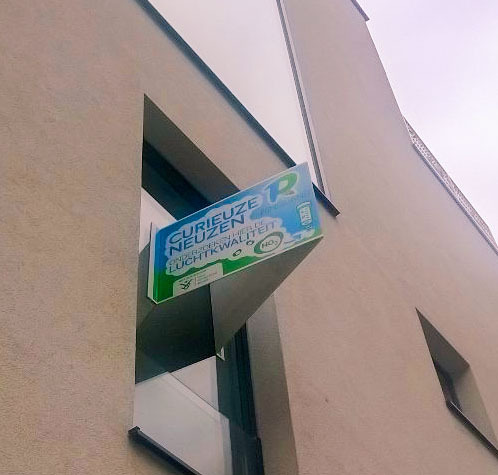 On 2000 locations, 2 of these low-cost samplers were mounted outside on a v-shaped window sign, more commonly used for advertising real estate. 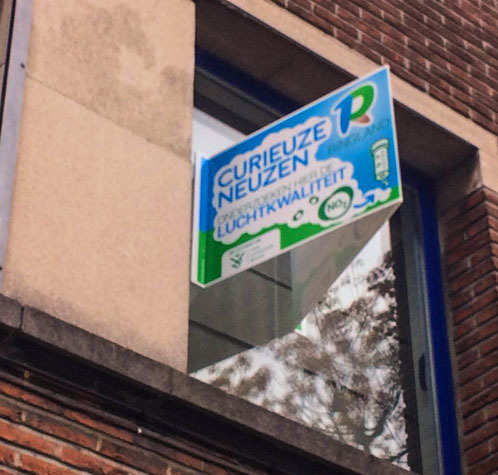 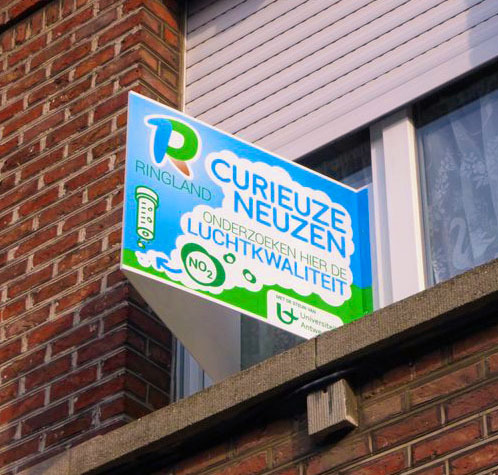 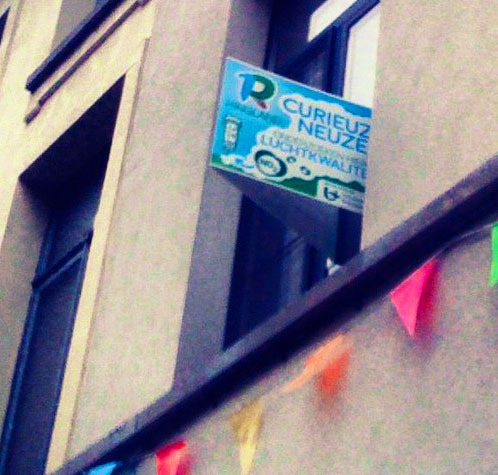 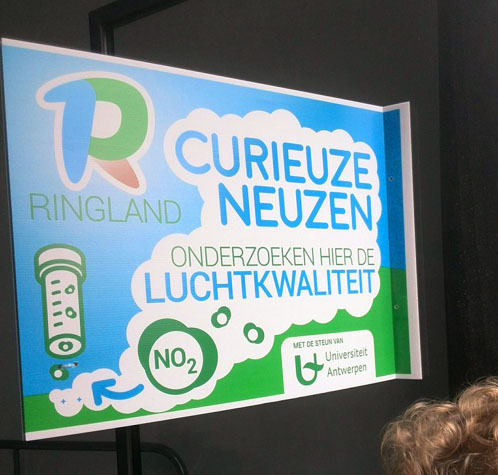 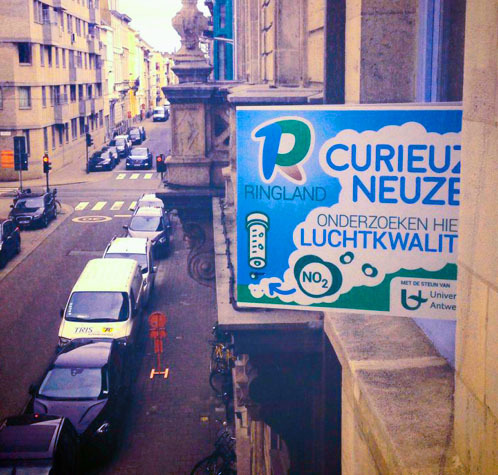 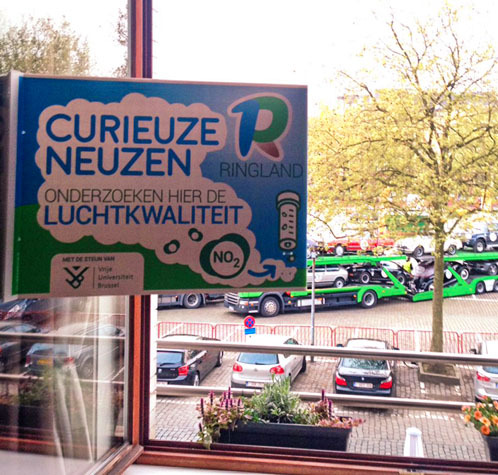 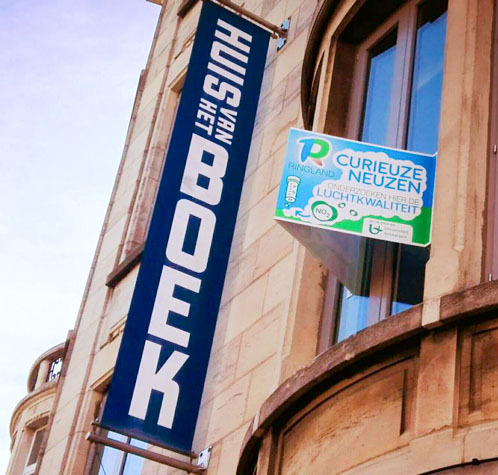 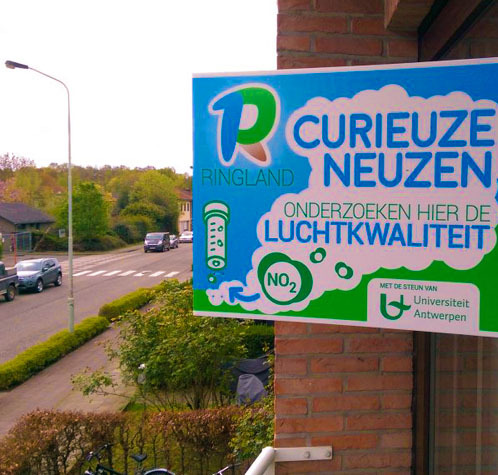 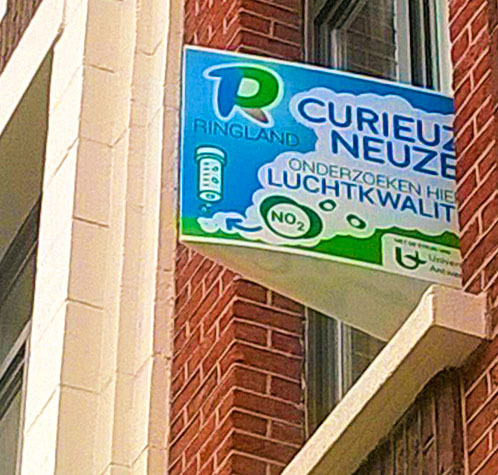 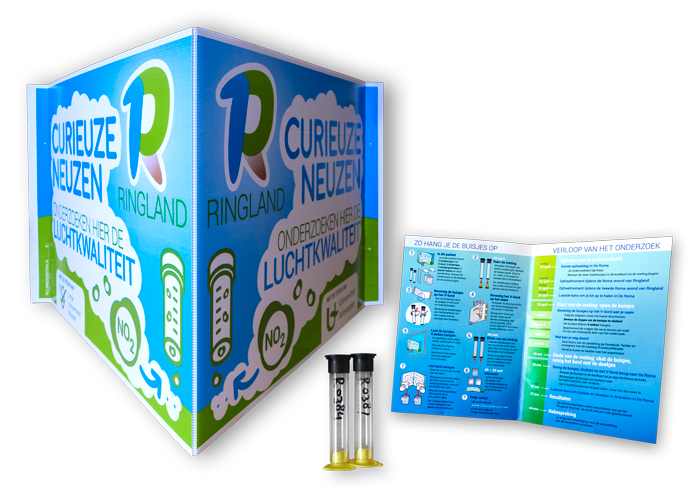 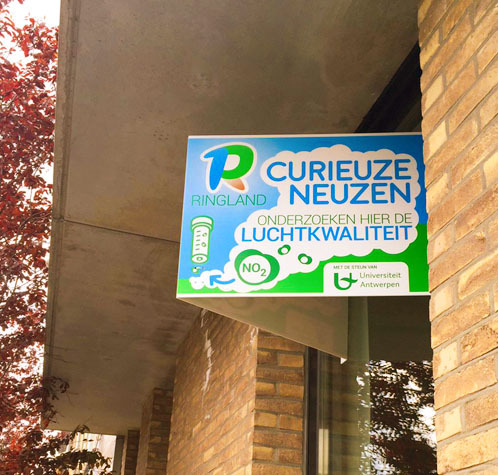 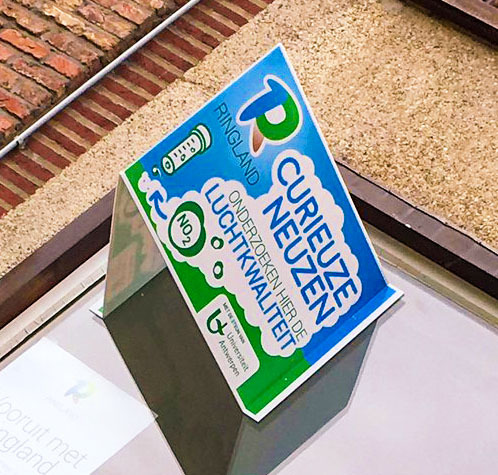 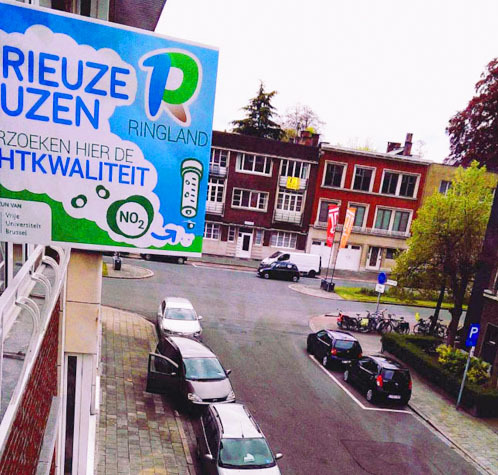 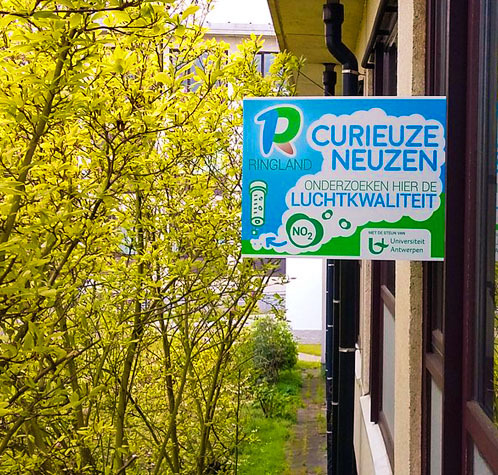 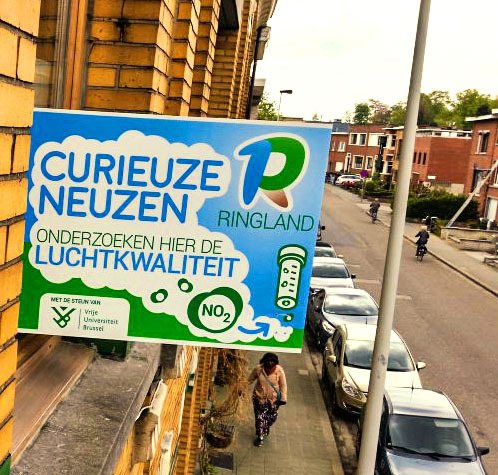 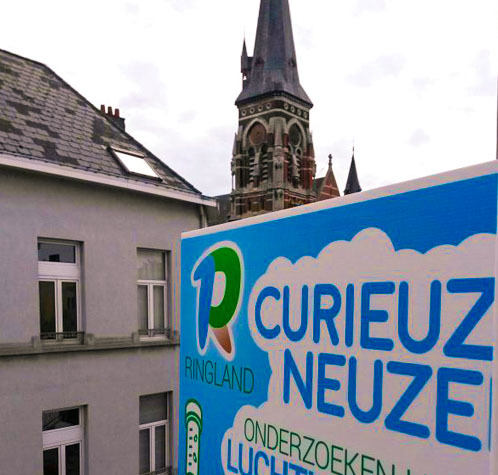 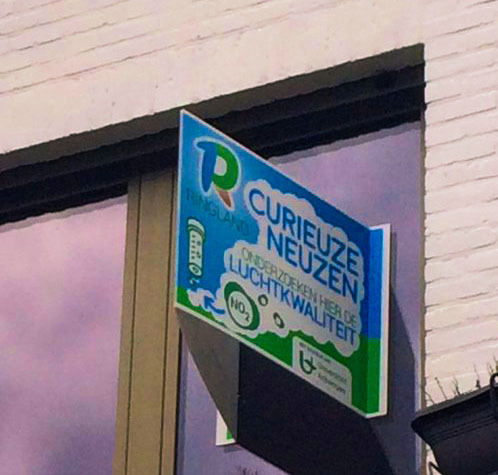 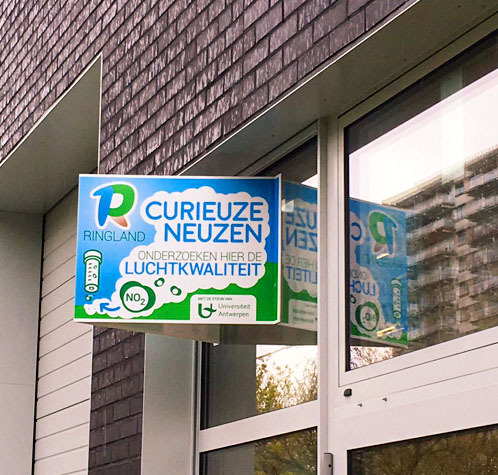 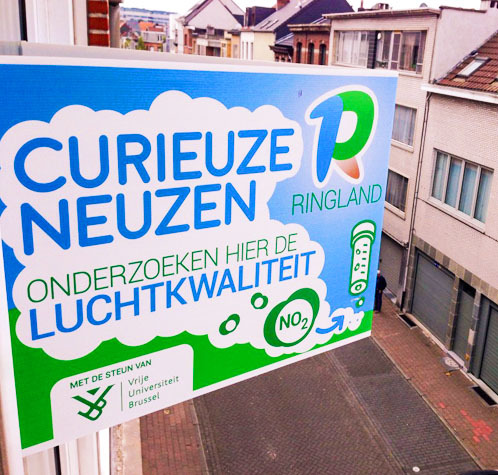 The CurieuzeNeuzen project is an initiative of the Ringland Academie in cooperation with researchers at the University of Brussels (VUB), the University of Antwerp (UAntwerp) and the Research Institute for Work and Society at the University of Louvain (HIVA). 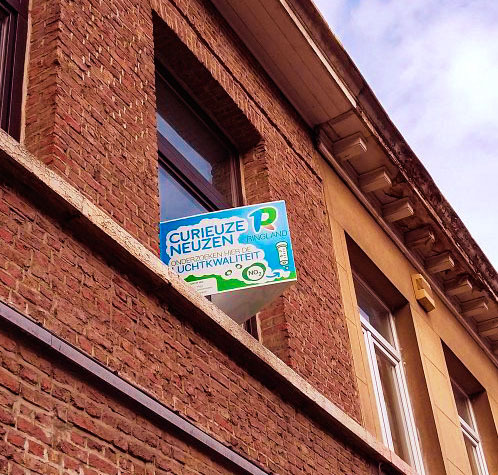 The measuring kit used by the citizen scientists, with window sign, manual and two NO2 samplers.